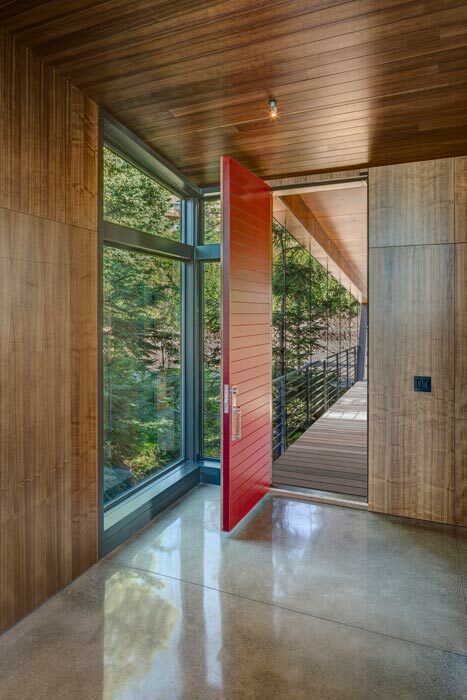 This projects involved the redesign and completion of a partially constructed house on the Upper Hillside in Anchorage. Construction on the house had ceased for over five years resulting in significant technical and organizational issues that needed to be resolved in order for the structure to be completed. 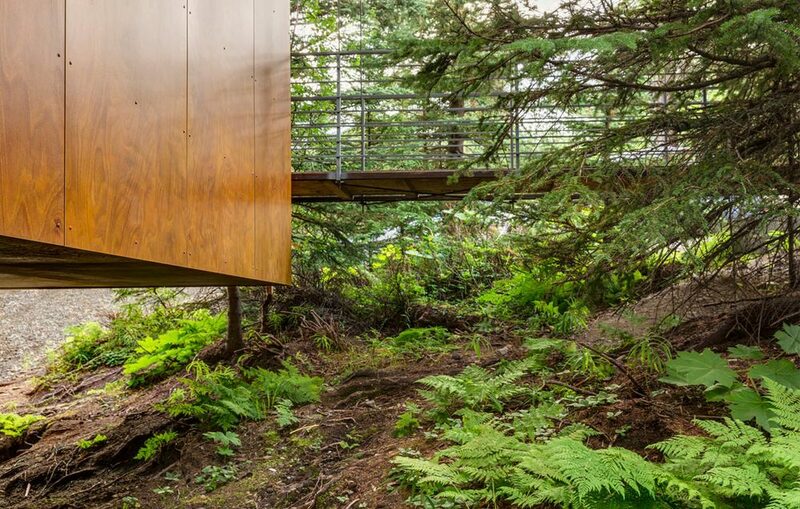 Perched above the landscape by a steel structural system the platform stretches across the hillside like an extended tree house. 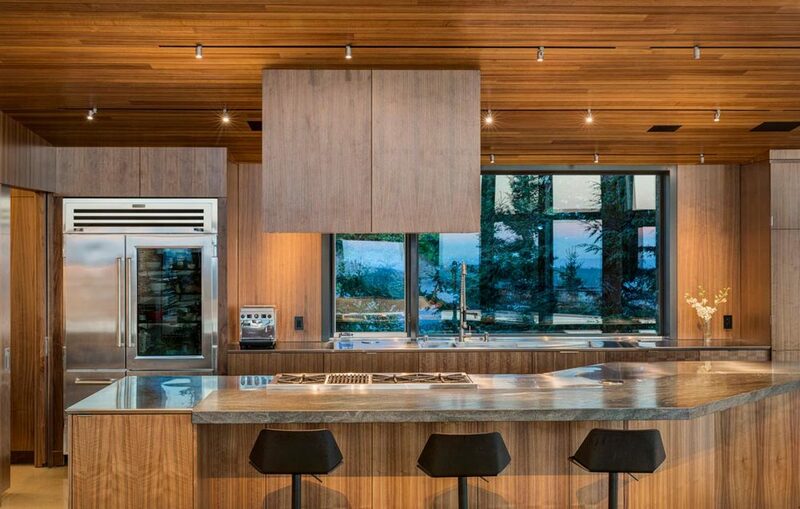 Walnut panels, natural stone, and concrete floors create a sophisticated and varied experience of the Alaskan landscape.